Test plan can be treated as a group of similar test executions with different configurations based on their properties (custom fields). 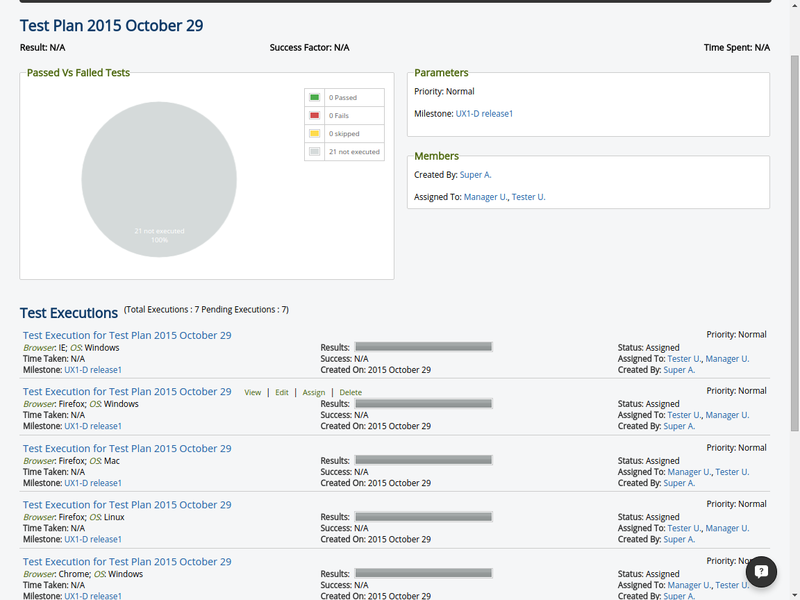 You can create test plans on how , when and which test case will be executed and which team member will run it during a release cycle. Now if you want to run a set of your test cases against all these configurations, creating test executions for each configuration separately is cumbersome and doesn't show any relation between the created executions. That is when a test plan will comes in. 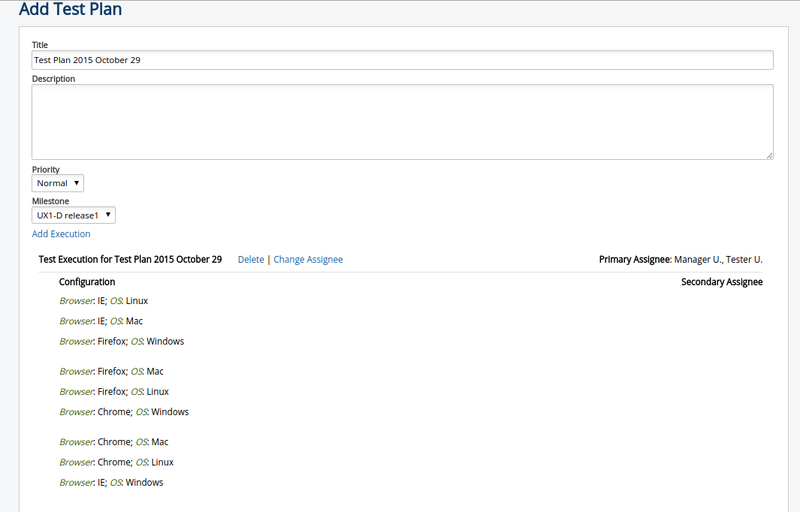 With Test Plan, executions of different combinations of (m*n) are automatically created, and you should be able to select the configurations you want to run your test cases against without the repetitive steps. 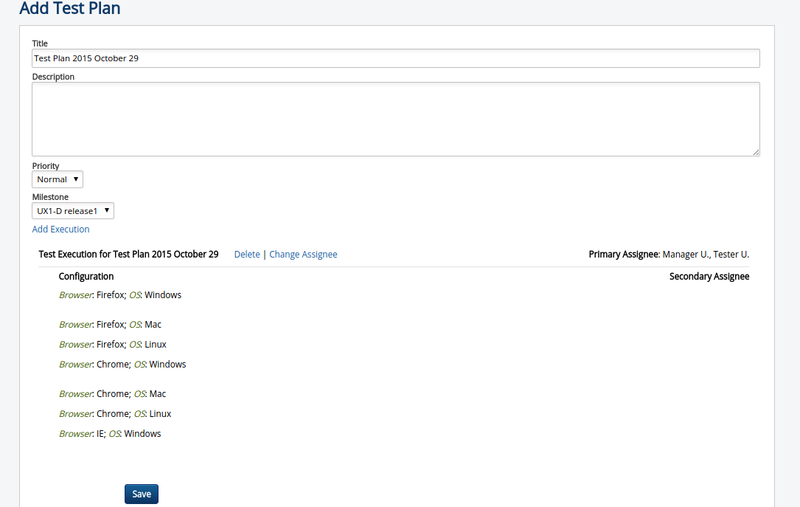 3- Select the configuration fields first, since we are discussing browser testing on different OSes , so you would select custom fields: browser & os. 5- Select the configuration combinations. If you selected all 3 OS and all 3 browsers, that would result in a 3 x 3 matrix i.e. 9 separate test executions would be created. You can delete any particular item from the list. In above example, we know IE doesn't work in Linux and Mac. so we would use delete button next to these list items. Note: One can also add an execution irrelevant of above combinations to make it as a part of plan. 7- After you have reviewed configuration combinations, you can continue with the same steps as followed for normal execution creation. 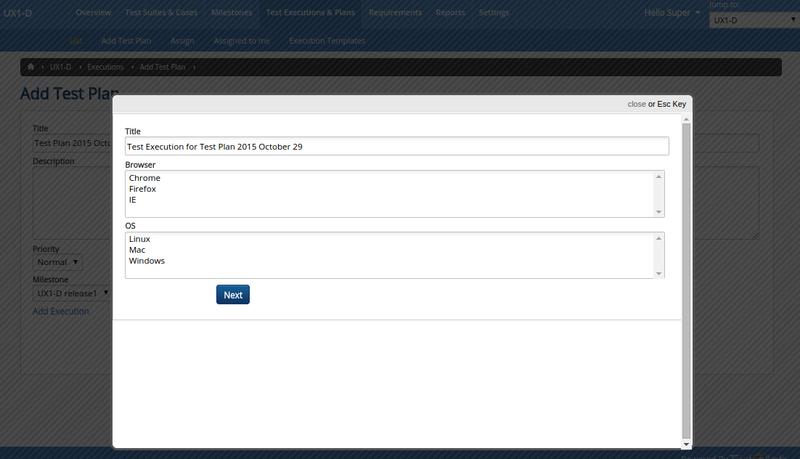 8- Then this test plan will show up with test execution index, like any other test execution and with the metrics. You also have flexibility to strategize your testing. Distribute each configuration level among different team members.